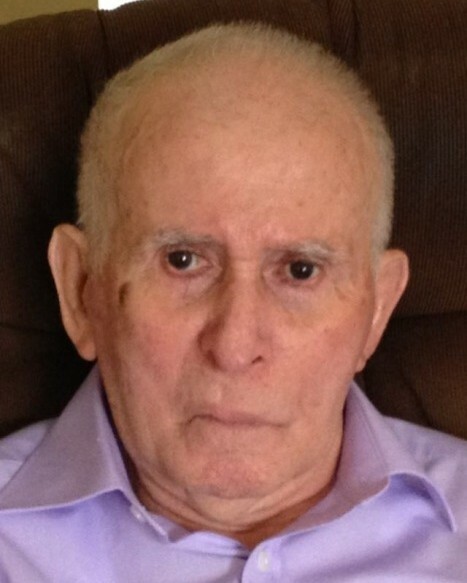 Waterbury – Marcial Velez, 96, passed away on Wednesday, September 12, 2018 surrounded by his loving family. He was the husband of the late Primitiva (Rios) Velez. Marcial was born in Arecibo, Puerto Rico on June 30, 1922, son of Juan and Maria (Roman) Velez. He was a devout Catholic and attended the Circle of Prayer and St. Margaret Church. He enjoyed playing dominoes, cards, traveling, gardening, and most of all, spending time with family. He was also an avid Red Sox fan. Left to cherish his memories are his daughters, Luz Velez; and Daisy Velez, both of Waterbury; his brothers, Pedro Velez, of Waterbury; Avelino Velez, of Arecibo, PR; Jose Velez, of Arecibo; and Miguel Velez, of Bayamon, PR; his sister, Filomena Velez, of Arecibo; his grandchildren, Leonides Velez Jr., of Watertown; Carlos Velez, of Waterbury; and Gerardo Velez, of Arecibo; his great-grandchildren, Crystal Velez, of Waterbury; Christopher Velez, of Watertown; Leanna Velez, of Watertown; Gerardo Velez, Jr., of Arecibo; Keishla Velez, of Arecibo; and Kimberly Velez, of Arecibo; many nieces and nephews; great nieces and nephews; great-great nieces and nephews; and extended family. Including his wife, Primitiva, Marcial was predeceased by his sons, Edwin Velez; and Leonides Velez; his daughter, Miriam Velez; his brothers, Manuel, Evaristo, Juan, Arcadio, and Efrian Velez. Calling hours will be held Sunday, September 16 from 2 to 5 p.m. at Woodtick Memorial, 420 Woodtick Road, Wolcott. Funeral services will be held on Monday from 9 a.m. at the funeral home, to the Shrine of St. Anne, 515 South Main St., Waterbury, for Mass of Christian Burial at 10 a.m. Burial will follow in New Pine Grove Cemetery.